A Cumbria oak bookcase. Used in every part of the house, they come in every shape and size, from tall to low, slim to wide and of varying depth. Big books ? adjustable shelves can give you the space for these – especially useful in the kitchen where celebrity chef’s bibles are usually large, glossy and eye watering in their contemplation of the feast to come. (hint – think Westmorland or Coniston range here). Not much space – then the slimline cumbria oak bookcase range will appeal, handy for books, CD’s & DVD’s they’ll fit into every corner. Books to be proud of – then the stately Sawrey range will show them off to perfection. Cumbria oak bookcase: not just for books. 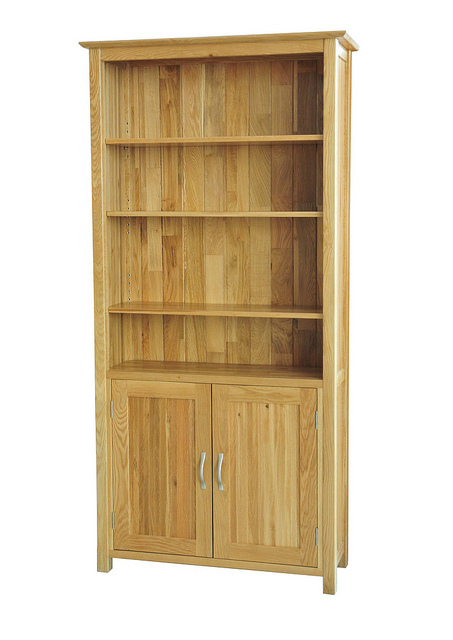 Of course, its not just books & CD’s – you might want to show pictures, a vase, glassware or other items you treasure and want to show in full glory – an oak bookcase will do the job. 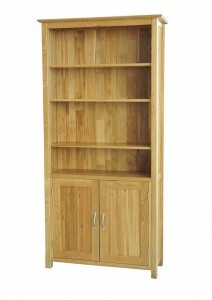 An Oak bookcase with cupboard, very useful! The mighty cumbrian oak has always been associated with England and a national symbol, its height, strength, and long life make it the king of the forest . 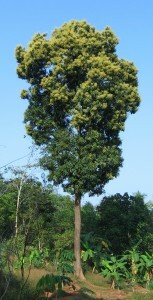 It is a native tree and has been around for about 300,000 years! Not surprising then that it is so well known and loved. The mature English The cumbrian Oak tree supports a larger number of different life forms than any other British tree. This includes up to 284 species of insect. In September when acorns loosen in their cups, the cumbrian oak tree provides a harvest for many wild creatures. In ancient times wild boar, but now, jays, pigeons, pheasants, ducks, squirrels, mice, badgers, deer and pigs share in the free feast provided by this great tree. The Oak’s sturdy timber is strong and lasts a long time, making it good to build the frames for houses, barns and halls, but it’s also renowned for its use in ship building, gates, barrels and of course fine furniture. 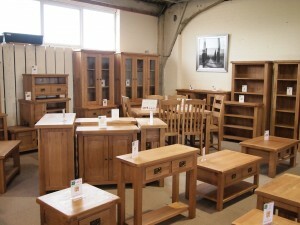 Here at cumbria oak we are dedicated to supplying quality oak furniture with the highest level of customer service. Our Sawrey Oak furniture range boasts generous tops and rounded corners. while our westmorland oak range offers a clean look combined with either chrome or matt bronze handles. 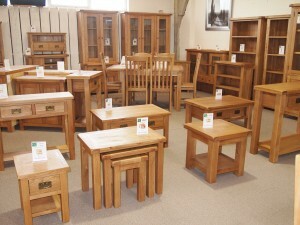 These together with 8 other main ranges and 10 other smaller oak displays ensure there is always a colour, style and price to match ours customers expectations. 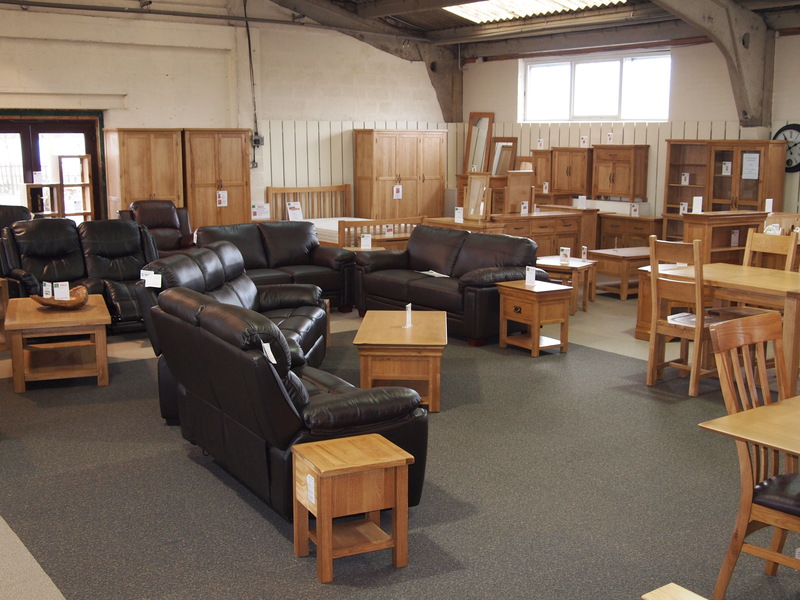 Over 50% of our customers are either repeat purchasers or have been recommended to us by a friend, this is due to the quality of the furniture and our high level of customer service. With free local delivery, (which covers most of cumbria) and a full unwrap and placement included we take care of everything. Mango trees are best known for the succulent juicy fruits they produce, however mango wood is being discovered as a lovely richly-grained wood that works well for a variety of projects. A dense and relatively hard wearing wood it is very durable and requires little or no maintenance. After some 20 years or so a mango tree ceases to bear fruit so the plantation growers cut down these trees and replant with new, maintaining fruit production. The cut down trees are thus a ready source for furniture production, an excellent example of re-usability and sustainability. The new cashmere collection from Rest Assured is now available at cumbria oak, traditional pocket springs combined with luxurious filling ensure a great nights sleep while fully supporting your back. Our new Cumbria oak showroom displays all the furniture you can find on our website plus many more furniture ranges including beetham and our newest range lancashire oak. More pictures to follow including our dedicated sleep centre where you will find silent night, rest assured, sweet dreams and vogue beds all on display allowing you to pick the ideal mattress and bed. 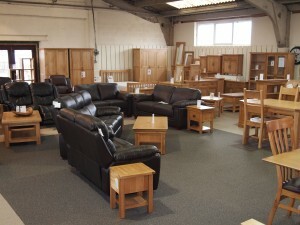 This week we have some great introductory offers on lancashire oak furniture, why not visit our store! 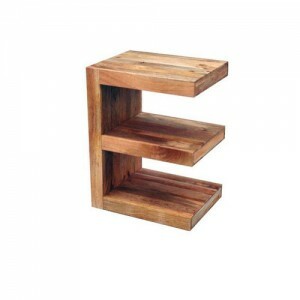 solid mango furniture sale: why not try a Mango E, its a great design feature and can be used as a coffee / lamp table! with 12 different items for the living and dining room the mango range offers excellent value for money combined with great design. 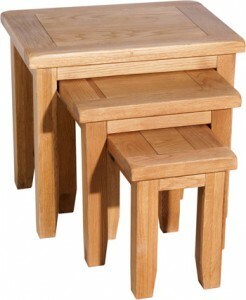 Our mango dining table and chair set is currently on offer in both our stores. 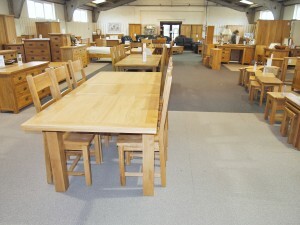 2 sizes of tables and a choice of chairs make it an amazing offer for the modern or country styled home.